Solar hot water - free hot water in summer, small amount of electric or gas boost in winter - what's not to love! 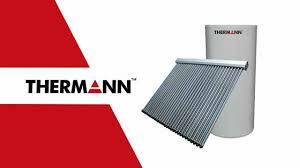 Government rebates in the form of STC's are available for the solar hot water units we install. Talk to us about the available rebates. We can provide advice on adequately sizing your new hot water unit to provide the right capacity for the demand of your house while keeping your energy consumption as low as possible. We can also advise you on the best boost solution so you never run out of hot water. We use only trusted and reputable brands. Contact us for your next installation.